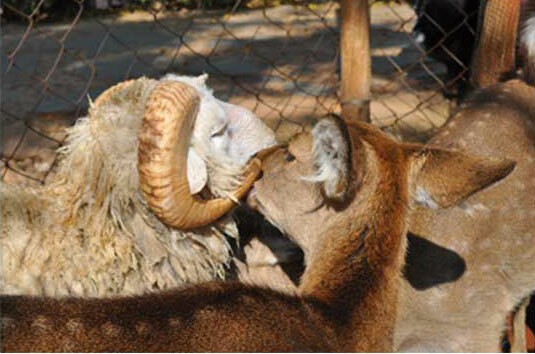 While in the U.S., we're still trying to figure out whether gay humans should be legally permitted to marry, the Yunnan Wild Animal Park is holding a wedding ceremony for an interspecies couple - a male ram and a female deer. The ceremony will be held at the zoo on Valentine's Day. 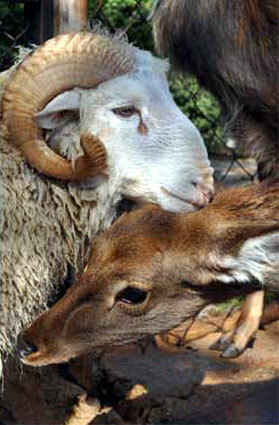 Actually, the pair, housed with other rams and deer at Yunnan, began to mate last fall. (Naturally, a video of them pairing went immediately viral.) Since then, according to Yunnan, the two have been inseparable. 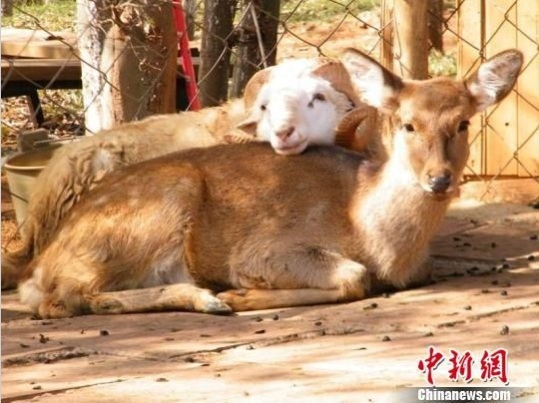 This story came to me through the kindness of the China writer for InventorSpot.com, who is our own 'deer' Creature Features. The Shanghiist and its past articles about Long Hair and and Junko helped out too!